NAIL-Anping Narui Wire Mesh Co.,Ltd. Materiels: Middle carbon steel 40 # ~ 45 #. Properties : Middle carbon steel hardness to reach more than HRC50; shear strength t ≥ 980 Mpa; toughness curvature properties and ≥ 75 °. Guage : Head: Flat, countersunk type. Shank: Smooth, Fluted, Twisted, Spiral. Finish: Bright, Electro Galvanized, Blacked, Blue. 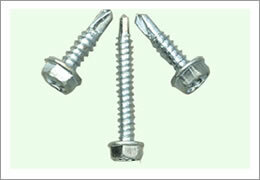 Packing : Packing in 25kg per carton or at customer's request. 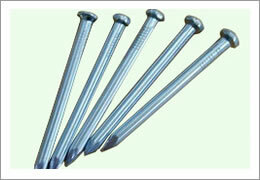 With special materials, concrete nails are specialty nails compared with common iron nails. 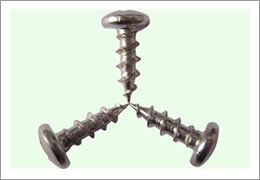 It is harder, the shank is short and thick commonly and it has excellent piecing and fixing strength. 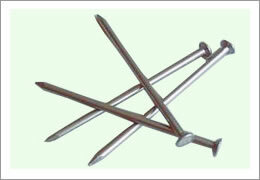 With these features, concrete nails make ideal nails and fasteners for firm and strong sites.